Enzotech has once again brought an innovation to the market which is yet to be matched! 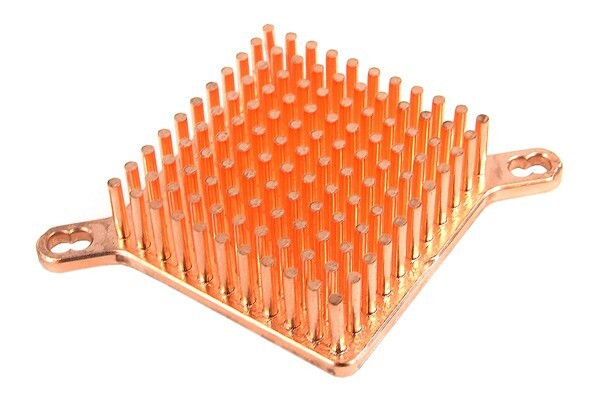 This all-copper cooler is the perfect cooling solution for Mainboards which are equipped with passive stock coolers. The cooling pins of the cooler are 11,6mm high and offer great cooling performance. The contact surface of the cooler is polished to a mirror finish. The plane and smooth surface makes the use of thermal pads obsolete, the included thermal compound can be used.